It’s amazing how quickly time goes by. I create a to-do list almost daily with the intention of completing every.last.thing. on the list before I go to bed at night. I don’t think I have succeeded in doing so yet this semester. No matter how busy I am though, I still find the time to cook almost every single night. I’ve come to the conclusion that it’s not that I have too much to do, it’s that I just don’t want to do any of it. With graduation just a few months away, I’ve found it increasingly difficult to get my school work done. Senioritis much? Cook pasta according to direction. Drain and place back into pot. Meanwhile, heat olive oil in a large skillet over medium heat. Saute garlic until tender, 2 minutes, and then stir in chicken. Season with red pepper flakes and cook until chicken is golden brown and fully cooked. 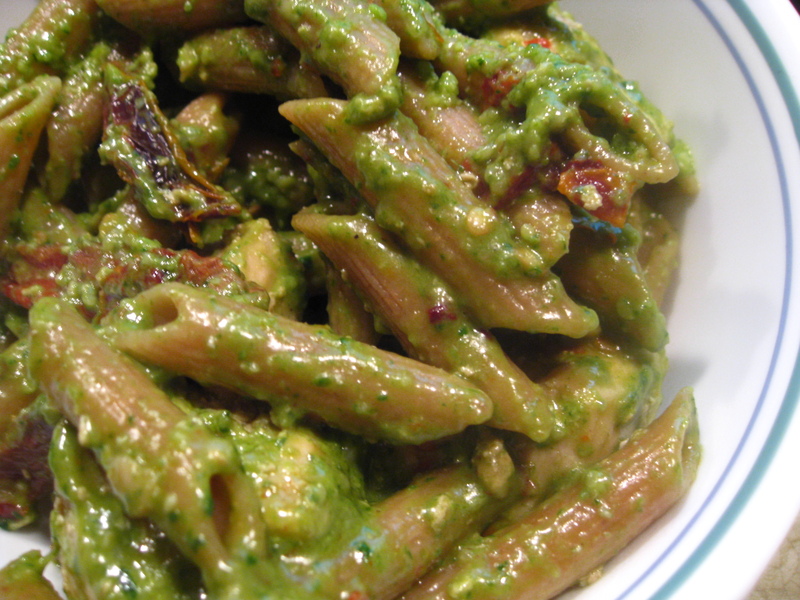 In the pasta pot, combine the chicken, sun-dried tomatoes and pesto with the pasta. Toss to coat evenly. Categories: Chicken, Main Entrees, Meat, Pasta, Quick & Easy | Tags: chicken, main dish, meat, pasta, quick and easy | Permalink. Two words: Tator Tot Casserole.